This book puts power into the hands of the layman, the young, the old, the strong, the weak and the scholar. It is a journey into the art of influencing people positively towards Islam. Although volumes have been written on the subject of people management, power and influence from a material and corporate point of view, as yet, little can be found on the art of influence from an Islamic perspective. The answer to some often asked questions are inside this book. - Can I still propagate Islam if my knowledge is weak? - What potential do I have as an advocate of Islam? - How do others perceive me? - How can I influence someone I've never met before? 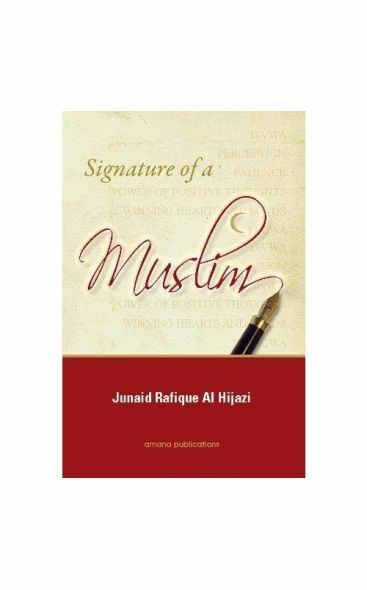 Signature of a Muslim introduces many techniques and concepts that have not previously been associated with the science of advocating Islam. The book uses evidences from the Holy Qur'an and Hadith to prove that many modern concepts that look at the psychology of influence such as Neuro Lingusitic Programming and the Law of Attraction are in many ways in accordance with Islamic Shariah and can even be proven from both sources. This book has something for everyone and could be the decisive factor that helps someone you know go to Paradise.